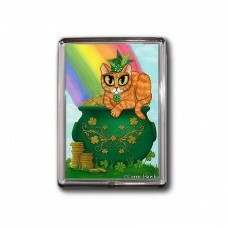 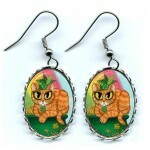 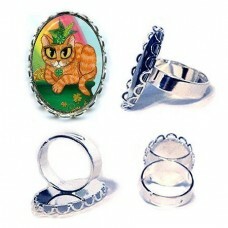 St. Paddy's Day Cat - Note Card - A lucky lil orange tabby cat all dressed in her finest St. Patrick..
St. Paddy's Day Cat - Keychain - A lucky lil orange tabby cat all dressed in her finest St. Patrick'..
St. Paddy's Day Cat - Magnet - A lucky lil orange tabby cat all dressed in her finest St. Patrick's ..
St. Paddy's Day Cat - Ring - A lucky lil orange tabby cat all dressed in her finest St. Patrick's Da..
St. Paddy's Day Cat - Cuffed Bracelet - A lucky lil orange tabby cat all dressed in her finest St. P..
St. Paddy's Day Cat - Bookmark - A lucky lil orange tabby cat all dressed in her finest St. Patrick's Day top hat & lucky 4 leaf clover necklace. 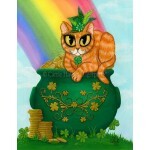 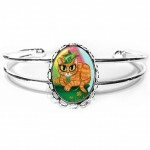 She sits on top of the magical pot of gold at the end of the rainbow surrounded boy gold coins and shamrocks. 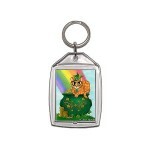 St. Paddy's Day Cat - Keychain - A lucky lil orange tabby cat all dressed in her finest St. Patrick's Day top hat & lucky 4 leaf clover necklace. ..
St. Paddy's Day Cat - Magnet - A lucky lil orange tabby cat all dressed in her finest St. Patrick's Day top hat & lucky 4 leaf clover necklace. 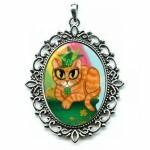 Sh..
St. Paddy's Day Cat - Ring - A lucky lil orange tabby cat all dressed in her finest St. Patrick's Day top hat & lucky 4 leaf clover necklace. She ..
St. Paddy's Day Cat - Cuffed Bracelet - A lucky lil orange tabby cat all dressed in her finest St. Patrick's Day top hat & lucky 4 leaf clover nec..
St. Paddy's Day Cat - Earrings - A lucky lil orange tabby cat all dressed in her finest St. Patrick's Day top hat & lucky 4 leaf clover necklace. 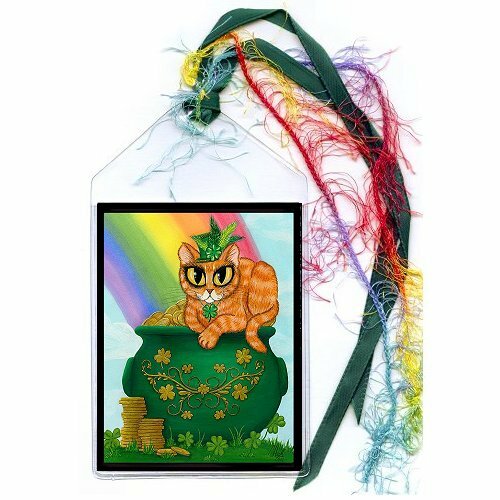 ..
St. Paddy's Day Cat - Cameo Necklace - A lucky lil orange tabby cat all dressed in her finest St. Patrick's Day top hat & lucky 4 leaf clove..
St. Paddy's Day Cat - Prints - A lucky lil orange tabby cat all dressed in her finest St. Patrick's Day top hat & lucky 4 leaf clover necklace. 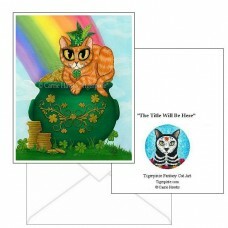 Sh..
St. Paddy's Day Cat - Limited Edition Canvas Prints - A lucky lil orange tabby cat all dressed in her finest St. Patrick's Day top hat & lucky 4 l..